Quo always has a beautiful Christmas collection filled with fun stocking stuffers and beautiful cosmetics. This year is no different. Here are a few of the items from the collection! 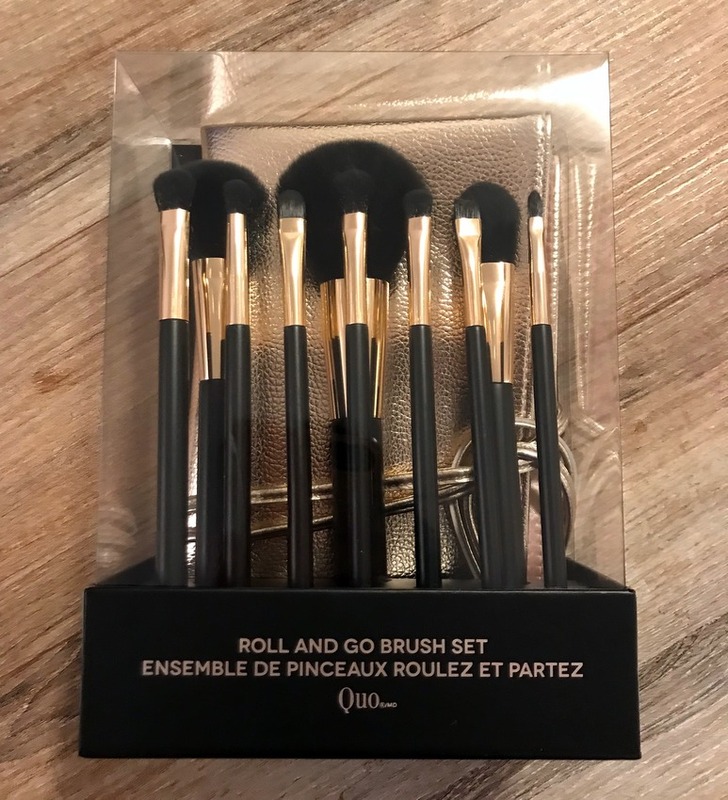 Quo Roll & Go Brush Set($49): The brushes are a beautiful matte black with soft synthetic bristles. 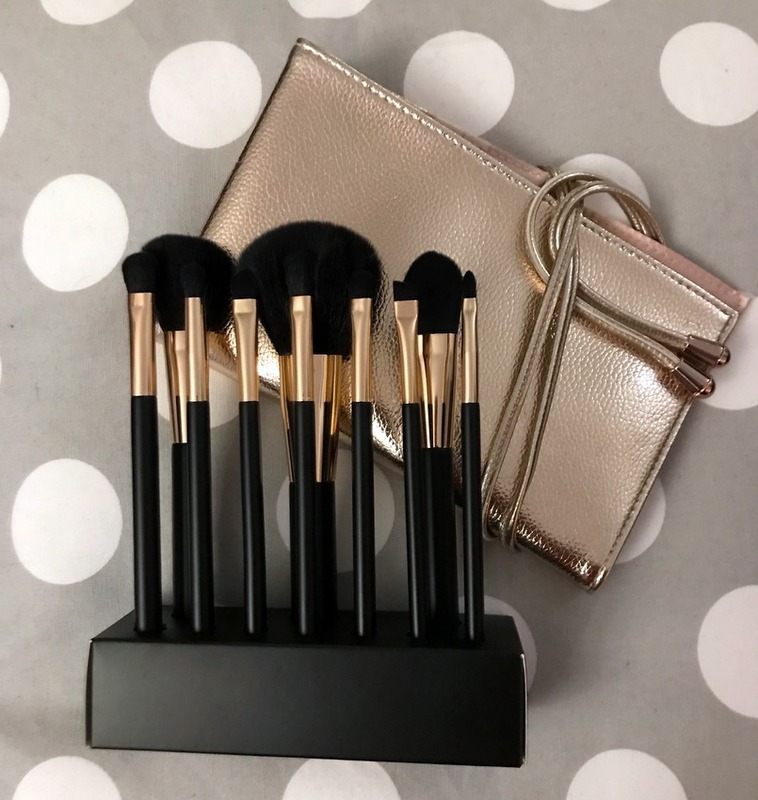 The kit comes 10 essential brushes: a powder brush, blush brush, foundation brush, concealer brush, lip brush, brow brush, crease blender brush, all over shadow brush, detailed shadow brush and a shadow smudger brush. 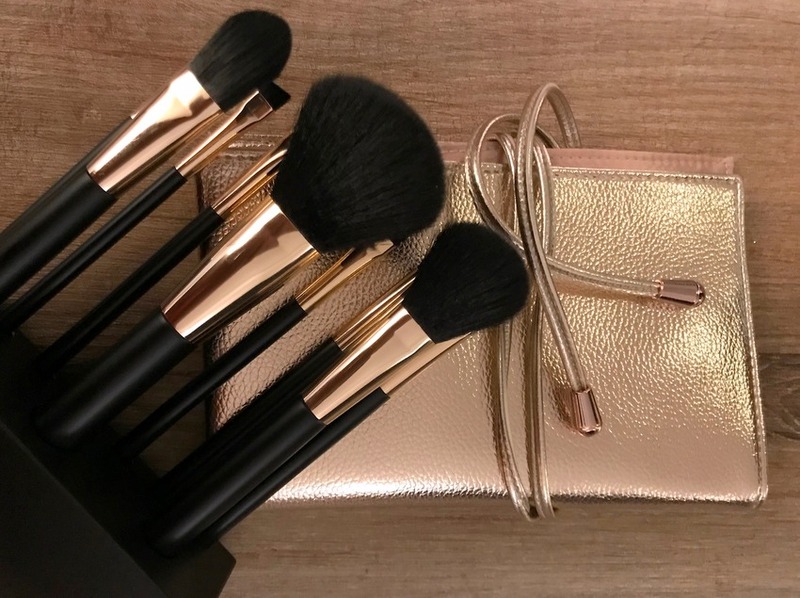 They’re easy to clean, and roll up into a pretty gold case. They’re perfect to tuck into your purse and go! This cute ornament has a glosy surprise. The QUO Lip Gloss ornament ($5) has a neutral or shimmery lip gloss within. ORLY and Quo have teamed up once again for a collection of pretty nail polish shades. 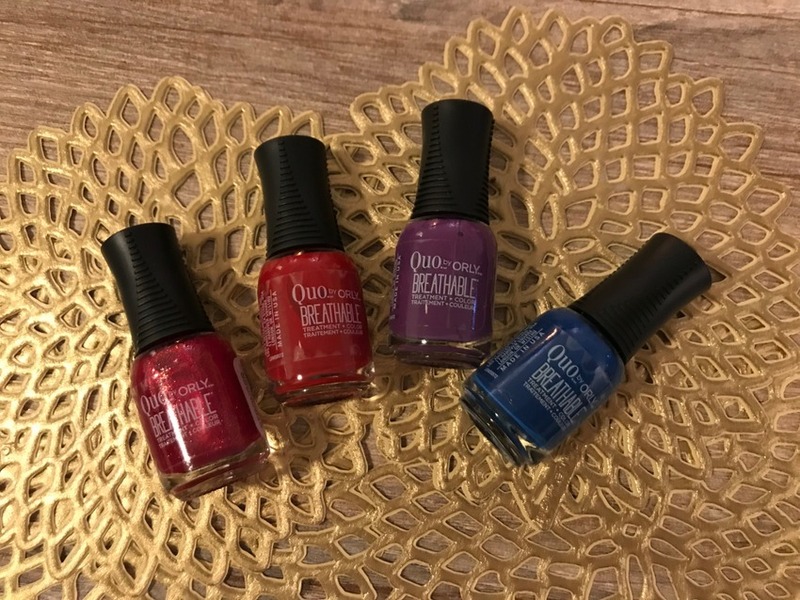 The QUO by Orly Marvelous Minis Breathable Deeps ($16) collection includes The polish is a special breathable formula that lasts a long time. The shades include a shimmery red, a creme red, a deep blue and a bright purple. Thanks to Quo, I’m giving one lucky winner a prize pack that will include all of these items! Feeling lucky? Enter below, and Merry Christmas!